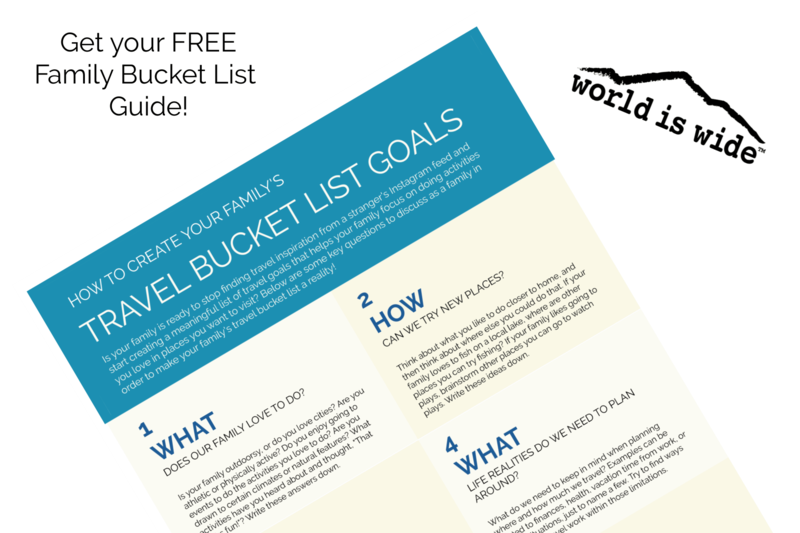 I am excited to share stories of families and their travel goals! I always learn so much from how other families choose their travel goals and why they chose them, so I thought I would bring that experience to my readers. Here are some stories about how my childhood travels unfolded. Interview with Kristie from World is Wide (me! ): I hope you enjoy reading my little cruise down memory lane as much as I enjoyed writing it. These stories capture travelers’ childhood travel memories and how they impact their travel goals as adults. Interview with Alison from Five Family Adventurers: Her childhood memories of world travel and mom-and-pop eateries have shaped how her family travels today. 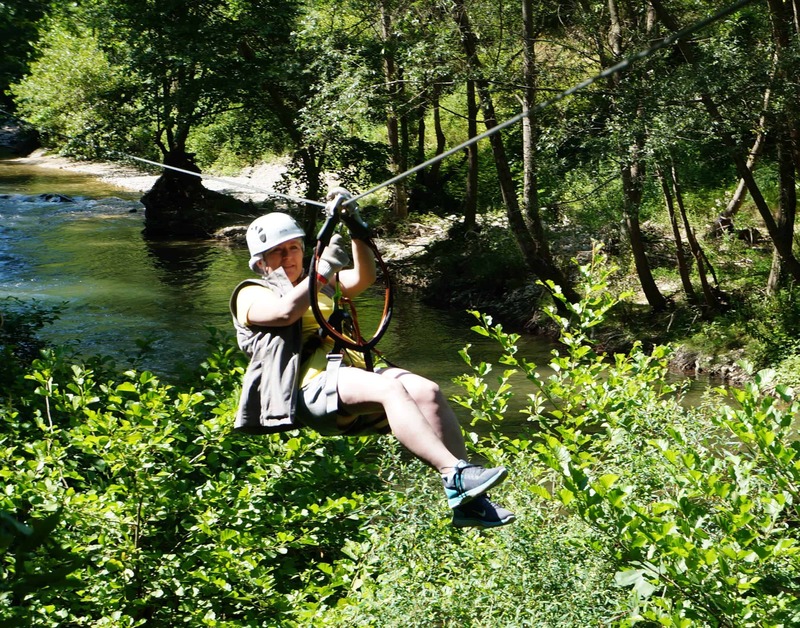 Interview with Emily from Kids and Compass: Family visits to the North Devon coast in the UK sparked her passion for family travel in the UK and beyond. Interview with Francesca from The Working Mom’s Travels: Her experience of vacationing in the same place every year as a kid made her determined to explore the rest of the world with her family. Interview with Kay from the Upper Midwest: The story of a friend of mine whose experience living abroad for a year as a child had a deep impact on her travel goals today. Interview with Kim from Oh My! Omaha: A mom who grew up on US road trips now passes the experience on to her children. Interview with Kylie from Between England and Iowa: A British expat living in the US tells how childhood family travel didn’t just impact how she travels as an adult, it influenced her career aspirations. Interview with Marianne from Mum on the Move: Her global childhood experiences have inspired her to continue traveling and living internationally with her own family. Interview with Rachel from Adventure and Sunshine: Camping adventures in her home state in Australia as a child fostered a love of camping and outdoor adventures across the world with her own family. Interview with Ruth from Have Kiddos Will Travel: Her experience visiting family back in the Dominican Republic sparked her passion for travel. 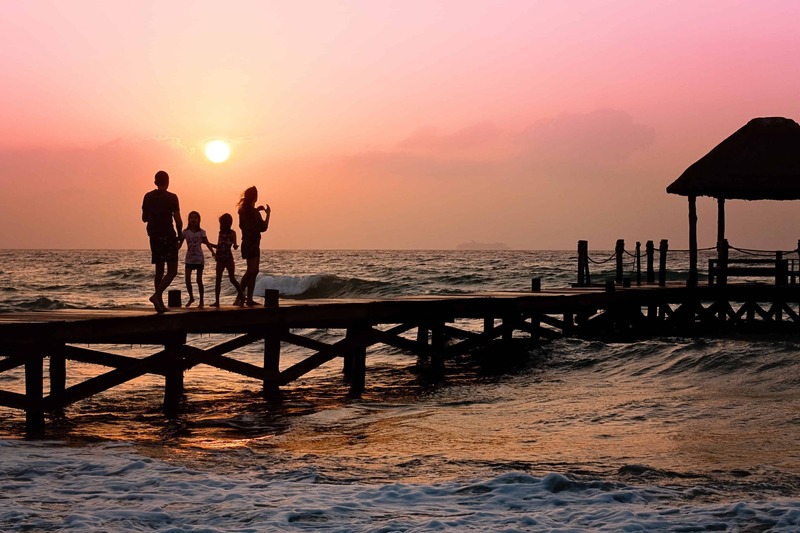 Interview with Shanna from There and Back Again Family Travel: Childhood adventure travel and road trips paved the way for a lifetime of travel with her kids today. Interview with Stephanie from Consistently Curious: Road trip adventures (both the real experiences and the bogus stories written in lodging guest books by her father) shaped her love of road trips and off-the-beaten-path adventures with her own family. 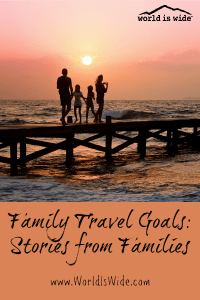 These stories are about families that have made ambitious travel goals and how they are making progress toward achieving them. Interview with Cath from Passports and Adventures – An Irish family now based in Portugal, but ready to conquer the world. Interview with DeAnna from Have Teens Still Travel – Her Indianapolis-based family, including teen twins, has a great travel bucket list! Interview with Jennifer from A Thankful Travel – A fellow Minnesota travel blogger shares her family’s travel goals. Interview with Jenny from TraveLynn Family – A UK-based family who has spent the last 15 months achieving their family’s travel goals across Asia and Africa. Interview with Kellie from 4 Worn Passports – This Alabama-based family completed their goal of seeing six out of the seven continents with two years to spare! Interview with Margie from DQ Family Travel – A Miami, Florida-based blogger with goals and a detailed plan for achieving their travel goals. Interview with Ruth from Have Kiddos Will Travel – Homeschooling allows her family of six the flexibility to take adventures year-round! Interview with Wisterian from Travels With Kids In Asia – A Tokyo-based family who travels regularly in Japan and beyond…with a major long-term travel goal.